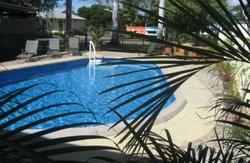 Rockhampton Backpackers is located a short walk from the Fitzroy river and CBD shops. 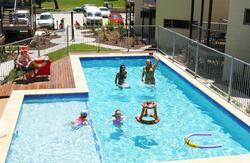 The hostel offers multi-share, double rooms and double and twin ensuite cabins. 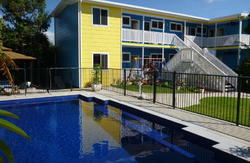 All rooms are airconditioned and the hostel is set in tropical gardens off the main street. There is a large well equipped kitchen, dining room and TV/ lounge room with cushy leather lounges to rest your weary body and help you feel at home. The hostel features a newly built tropically landscaped swimming pool ( the only hostel in town that has one) for our guests to enjoy and relax in. 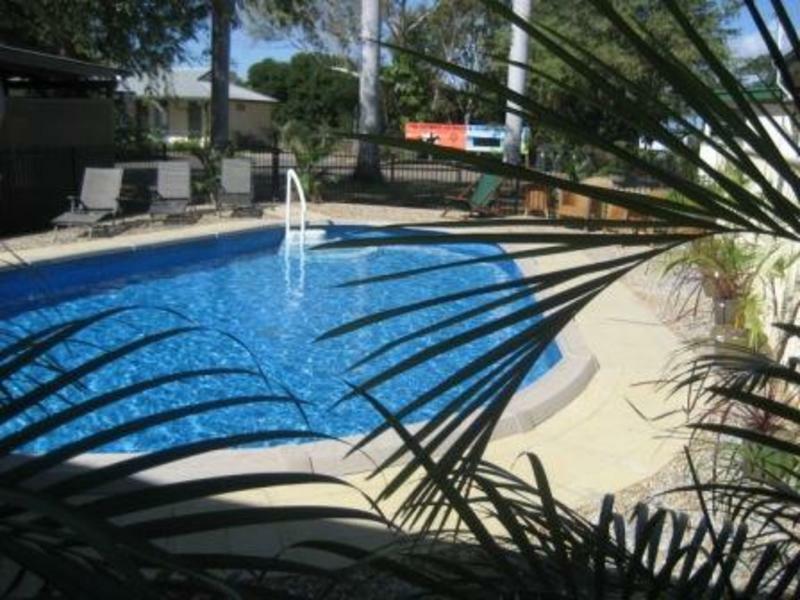 This is the perfect place to stop for a break from the long bus ride between Airlie beach and Hervey bay and is the ideal base to explore the beautiful capricorn region which includes the incredible great keppel island and the outback experience of the Myella farm stay. after hours check in, please let us Know 24hours prior to your arrival. greyhound bus, queensland rail and airlines service rockhampton daily. Courtesy transfers to and from the bus and train terminals availible from 6.30am - 8pm. If driving from the north get off the bruce highway and head towards the city center along queen elizabeth drive. Look out for 'arnolds Advance tyres' on the left hand side of the road, the road forks off at arnoldls to the left, you need to take that fork then turn left again into macfarlane street.